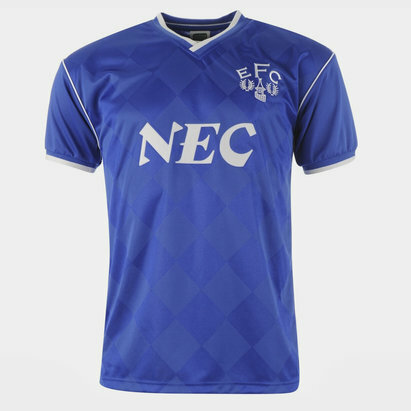 The 1980's belonged to Everton and was a golden era for the Toffees. 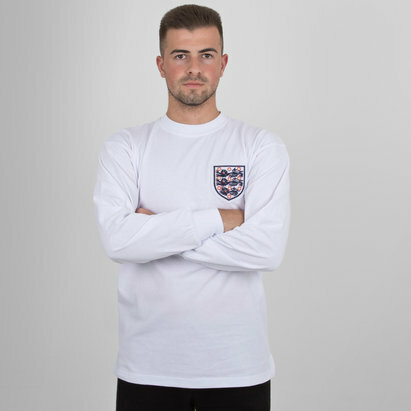 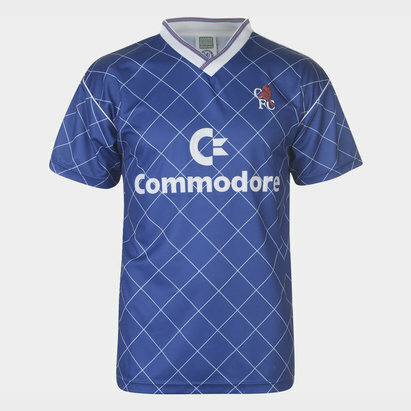 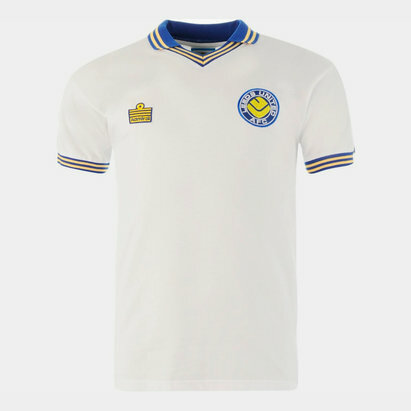 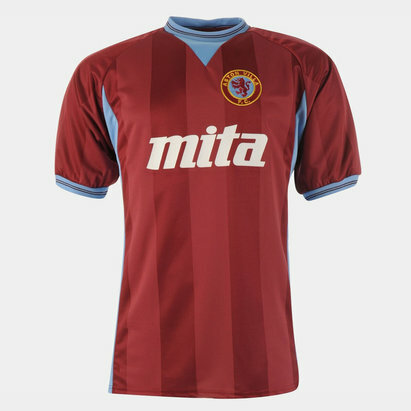 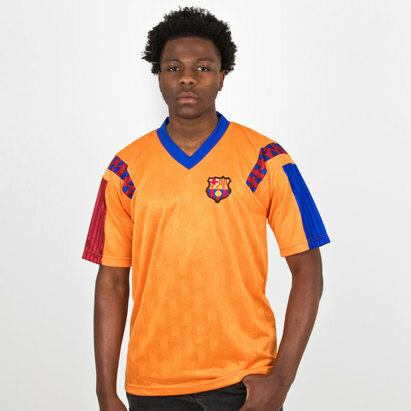 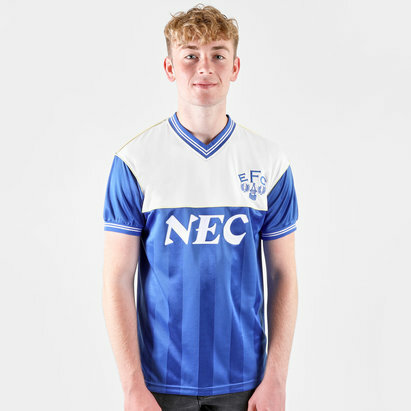 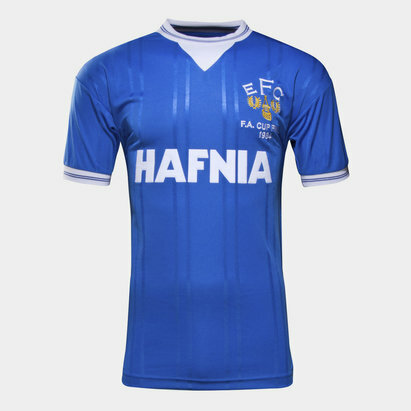 Created by retro specialists Score Draw, the Everton 1982 Final Retro Football Shirt is made from 100% polyester and embodies a team which dominated the domestic scene. 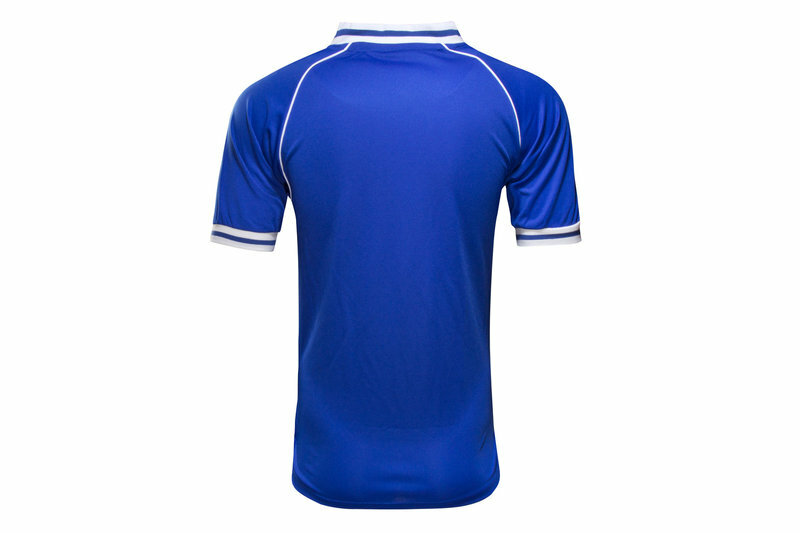 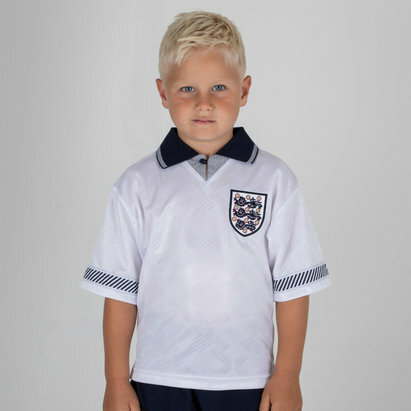 A traditional plain royal blue offering is enhanced by a white v-neck collar and short sleeve edges. 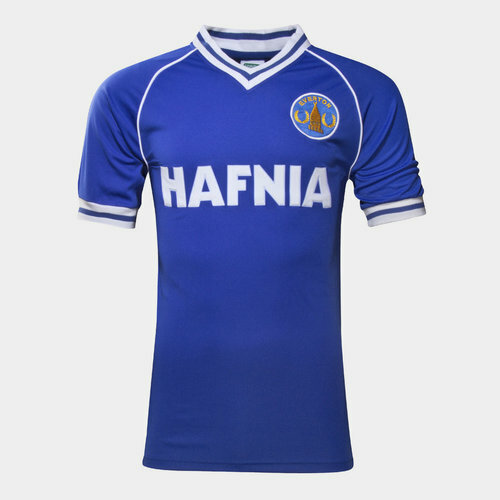 The gold Everton badge is stitched onto the left chest whilst the Hafnia sponsor is printed over the chest. 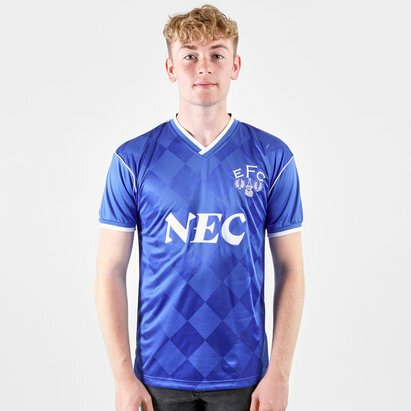 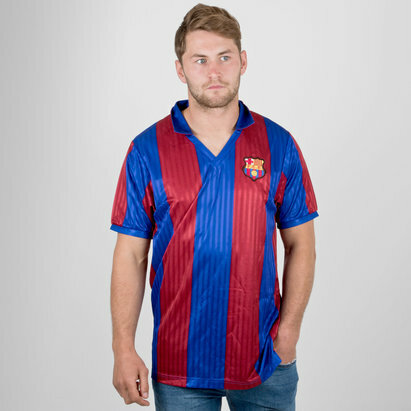 This is a replica of the shirt as worn during the halcyon eighties era under the management of Howard Kendall. 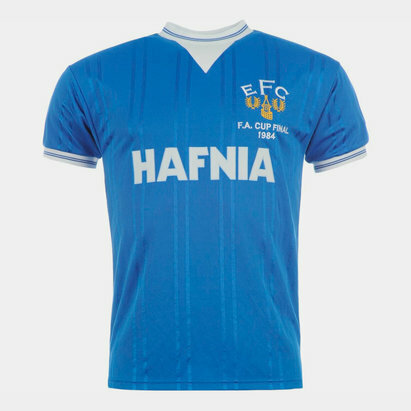 During this period, the Toffees delivered two Championships, an FA Cup and European Cup Winners Cup haul with a line-up that included Peter Reid, Graeme Sharp and Trevor Steven.